I was reading a book INDLISH: The Book for Every English-Speaking Indian by Jyoti Sanyal. 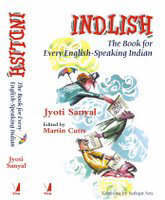 Indlish is a compilation of Sanyal’s articles on plain English first printed in his column in The Statesman. 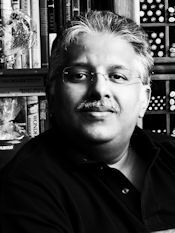 Sanyal was formerly Dean of Asian College of Journalism, Bangalore, and an assistant editor with The Statesman, Calcutta. Now he is part of Clear English India, which encourages people to use good contemporary English instead of Raj-day commercialese, officialese, and legalese. It is a great book that makes a lot of sense. It is easy-to-read, witty, clear, and concise. The author practices what he preaches. As the title says, it is a book that should be read by every English-speaking Indian. It is full of good advice about how to write English that is easy-to-read and easy-to-understand. The book gives a lot of examples of verbose and pompous English writing. It illustrates the abuse of the language—both intentional and accidental. It also points out why we (Indians) remain bound to literary Victorian English, which the later Victorians rejected. It explains how our East India Company legacy of commercialese fetters how we write English. The book discusses the various ways the English language is abused. It provides clear and practical solutions to avoid the traps that obfuscates and makes our writing incomprehensible. It uses real world examples from LIC policy documents, newspaper and magazine reports, editorials, television reporting, etc. to show how the language is abused and how to correct those mistakes. Prefer the familiar word to the far-fetched. Prefer the concrete word to the abstract. Prefer the single word to the circumlocution. Prefer the short word to the long. Prefer the English word to the ones derived or borrowed from Italian, French and Spanish. According to the author, if we must have a mantra for good writing, let those rules laid down by Henry and Frank Flower serve. My English and English grammar is what I grasped from the authors that I read. I never consciously learnt English. But I remember a love for the language and the English dictionary. I still find books like the one you have reviewed an enigma because I grasped the English language and never learnt it as a subject. One of the first things that people check while selecting people for a communications job is grammar. And it surprised me when I passed my first written English test prior to my Interview. The cut off mark was 80%. I wrote that test purely on instinctive selection of the right words as opposed to learned selection. If I had learnt English as a subject I don’t think I would have stood a chance in that test . I guess ‘language learning’ should be aided with reading materials in the same language. English that way, is blessed with interesting books for all age groups. Enid Blyton is a shining example! English writing should be learned by reading a lot and writing a lot. That is the advice given by almost all the famous writers and effective communicators of English. I have read the same advice in the books by William Zinsser (On Writing Well), Stephen King (On Writing), Jack Heffron (The Writers Idea Book), and many more. This book–Indlish–is not different. It is not a grammar book. It makes fun of the pompous, verbose and circumlocutory writing style and explains how to avoid forming such habits. It helps in ‘un-learning’ what have been taught in grammar classes. The best way to learn English is to read a lot, and then write a lot. You will develop an ‘ear’ for good and correct English in this way and there is no need to formally study grammar. And if one ever needs a grammar book all the information required to write grammatically correct English can be got from the pocket-sized, 105 page classic–Elements of Style by Strunk and White. It is no surprise that you aced your grammar test. With the number of books you have read–I read your book tag a long time back where you have mentioned about finding the trunk full of books from your grandfather’s attic–your success was assured. Reading good books is more effective than taking a grammar class. Only difference is that while the former method is slow but everlasting, the latter is quick but will never help a person become a good writer. While one method is fueled by the love of the language, the other is forced and insincere. I completely agree with you. Language learning should be aided with the right reading materials in the same language. And, yes, English is blessed with brilliant authors and wonderful books. Thank you for that long reply! 🙂 You are right about writing and reading. Reading develops your language, writing develops your communication skills and delivery. Really liked the post, the thoughts it evoked and the small dialogue created here. I just LOVE English!!!! i love this language too much. terse and precise letters and technical documentation has become the order of the day at work. having an opportunity to let go, feels the same as flying like a hawk, somewhere above, rapt in bliss! people like me will ruin this language one day! what can i say .. too many cooks spoil the broth! But like you said you learn a language by loving it..never been a big fan of typical style of teaching grammar in school..
anju: English is a wonderful language—flexible, versatile, adaptive and universal. I love it in both forms—flamboyant, dazzling, and dashing and plain, simple, and concise. An exponent can bend the rules or as poison said, can create his/her own rules. That is the beauty of the language. poison: I completely agree with you buddy. But, you need to know the rules to bend them or create new ones. The book is mainly for journalists and reporters where grammatical errors and verbosity will distract the reader from the news and truth. bijoy: Thanks Bijoy and welcome to my blog. I think your mom did a wonderful job in teaching you English and making you love the language. My English teacher in the 10th grade never bothered to teach us grammar. But every day, we had to write an essay and he would come up with weird topics. Most of my classmates used to dread the English class, but I used to love that class and writing the essays. Thanks for the info Alex. will try to get a hold of this book.sounds interesting.How are you doing. i agree with you and anju totally. learning has to be enjoyed. was lucky to get good english teachers throught. lalitha: It is an interesting book. :D.. I think English in every non-English speaking country differs. we can see the difference in accents ,grammar etc etc among people from different countries. As we talk about Indian English, here am able to see Philippines English, Egyptian English, Portuguese English etc etc…. and all of them make same mistakes in English.